"Polygons_From", includes input attributes, i.g. "Value_1", "Value_2", "Value_3", and $area for each quadrate (on the image there are two types of them). "Border" defines an area where the calculation should be done. My task is to transfer values from "Polygons_From" into "Polygons_To" based on a certain aspect/ratio. Of course, I can simply achieve it with 'Union' function as was suggested in this thread. It uses $area-factor, but perhaps there are better approaches that will lead me to a much more efficient output? So, I am asking for a recommendation regarding the technique/workflow that can be applied in QGIS 2.18. Shall I consider only $area or there are some other criteria? Moreover, I looking forward to finding some papers that may improve my general understanding of the methodology. How to combine data from overlapping polygons? Calculating area of polygon inside region? Duplicate polygons in "Polygons_To" to match number of intersections with "Polygons_From" layer. To do this You can use 'Join atributes by location' with one to many option selected. Or use Union tool from 'Vector' menu to split "Polygons_To" that intersect with more than one poylgon in "Polygons_From". Think its also possible to list atributes of all intersecting layers into one column but havent tried it yet. Not the answer you're looking for? Browse other questions tagged polygon qgis-2 references calculate-values or ask your own question. Creating polygon regions with latitude and longitude values in qgis? 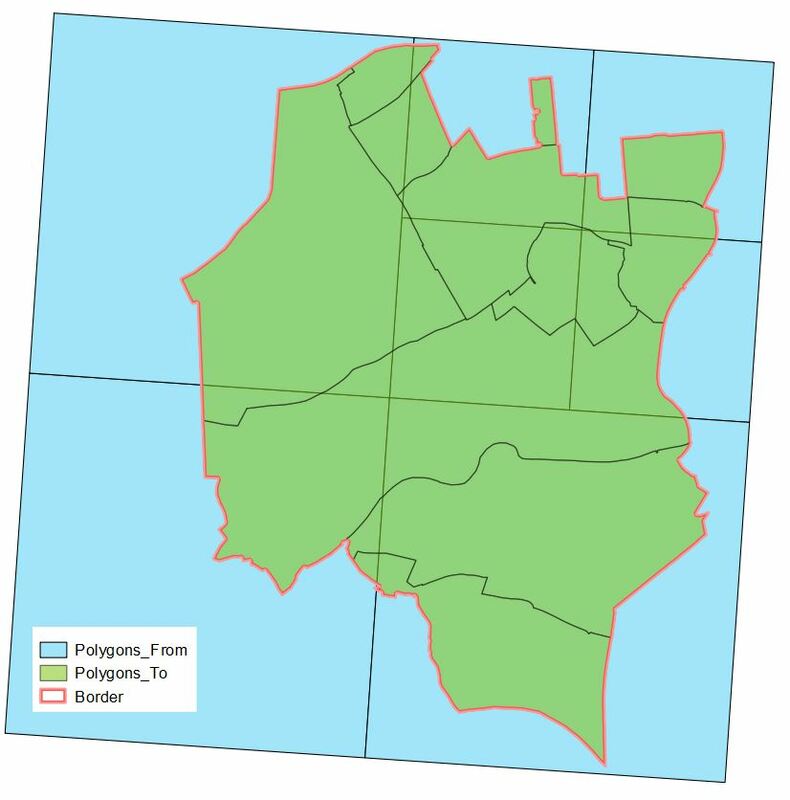 Filling gaps between polygons using QGIS? Fitting known size polygons into irregular polygons using ArcGIS Desktop? Unable to compute intersection between two polygons using PyQGIS?